Some folks who practice internet marketing seem to forget sometimes that the term has the word "marketing" in it. They seem to think that the profession is simply about the internet, without reference to the marketing element. Because of this, basic marketing principles can be forgotten whilst getting busy with title tags and social media optimisation. "Marketing is about creating something remarkable, then telling people about it." 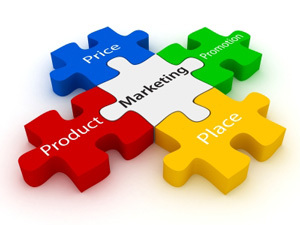 Product, Price, Promotion and Place. Product is what you produce to sell, Price is how much you sell it for, Promotion is how you tell people about your product, and Place is where you sell it. If you look at these four elements of classic marketing, you will see that the two most important P's are the ones that stand out - Product and Promotion. These are the two key elements that all marketing revolves around, including internet marketing. The concept of your product being key in marketing comes, in part, from marketing guru Seth Godin, who in his book Purple Cow, talks about how the key to being successful is having a remarkable product. That is, one that is "worth making a remark about", or worth talking about and sharing with friends. The title of the book refers to a ordinary cow, that you have seen a hundred times before, then you see a purple cow in a field, and it's worth talking about, because it's so different and unique. Being unique and different is the key to having a great product - if you're not different from your competitors, what reason would there be for a customer to buy from you? With regard to telling people about it, (promotion), this can typically take the form of all types of promotion, advertising and PR, ranging from PPC and display ads, through to viral marketing and distributing press releases. The idea behind promotion is that the old maxim about "build it and they will come" is not really true. You can have the best product in the world, but if you're target market doesn't know about it, then it doesn't really exist. "IM is about creating great content and promoting it"
It's that simple. All the dress up about links, anchor text, H1's etc... is really secondary to this central premise. Great content can be in various forms, such as white papers, videos, articles, interviews, tools infographics or resource lists. Promotion in IM means linkbuilding, social media optimisation and web PR. Many SEOs look for short cuts in IM, by linkbuilding (promoting) without good content; this is a recipe for disaster, and pretty much means black hat tactics. You need both a great product (content) and linkbuilding/SMO to promote it (promotion). This is the recipe for success in IM/SEO, and in marketing in general. About The Author: Schepens offers a professional removal, storage and shipping service both locally around Southampton and Internationally. They use the Internet to promote their website and as a marketing tool to obtain new customers for their family run Southampton removals company. Do you like this article? Please let me know by using the comments section below. A couple of weeks ago, I visited one of the Internet Marketing/Small Business forums that I'm a member of, and noticed a new member had posted a typical newbie question in the SEO forum. The member wanted to know how she could be guaranteed to get her website on the first page of Google. As usual, members came crawling out of the woodwork with advice - including members who didn't even own a website. Unfortunately, that's pretty typical on Internet Marketing/Small Business forums...members who don't own a website instructing other members how to get on the first page of Google...members who don't own a business dispensing business advice. So be careful where you get your advice from...but I digress. Not surprisingly, not a single member responded with the correct answer. And what is the correct answer? The correct answer is there is NO magic bullet that will guarantee a first page ranking on Google. Never has been, never will be. By the same token, NO reputable SEO company will guarantee first page rankings. "No SEO company can guarantee you a first page or top 10 ranking. I repeat: NO SEO COMPANY CAN GUARANTEE YOU A FIRST PAGE OR TOP 10 RANKING. Here's why: There are far too many variables involved in the ranking of a website - not the least of which are the age of the domain, relevancy and quantity of content, number and quality of inbound links, competition, and of course Google's ever-changing algorithms. That's why legitimate SEO companies don't make those kinds of outlandish promises." Wow...that statement is about as succinct as it gets. "From 1996 through to today, SEO scams have used 'guaranteed rankings and traffic' as a slimy catchphrase to lure in gullible buyers with too-good-to-be-true promises. That association has stained the entire industry. SEO's cannot control the search results the way FedEx can control shipping packages or Coca Cola can guarantee the taste of their beverage. 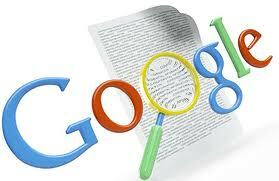 The search engines alone are responsible for and privy to the rankings' methodologies. There are times when I would be willing to gamble a large amount of money on the fact that we could achieve a certain ranking for a given keyword. However, that's not the same as a guarantee. A guarantee is a promise - a basic contract that necessarily creates an assumption of certainty by the deliverer to the recipient. Anytime you cheat on that logic and make a promise outside your sphere of direct control, you're walking on shaky ethical and business ground." Now think about that for a minute. If one of the most reputable and prominent SEO experts on the planet isn't willing to guarantee rankings, what does that tell you about the validity of guaranteed search rankings claims? "The dentist does not pay for SEO services until their website is favorably positioned in a major search engine. Major search engines include Google, Yahoo, MSN's Bing and Ask. Our exclusive promise specifically guarantees that the client's dental website will have high visibility in one or more of these popular search engines. Further, a minimum of twenty (20) positions on Google's 1st page results will be attained before payment is required. This warranty is made without absolute assurances to search engine positioning. The reason positions cannot be absolutely guaranteed is because no one has control of a search engine's algorithms, nor control over the many websites coming online everyday. However, all work on the client's site will be performed according to specs and to the best of our ability. If desired ranking is not achieved, no payment will be due from the client." Personally, I don't have a problem with that type of guarantee. The company is basically putting their money where their mouth is. They're willing to prove their competency and guarantee results before the client pays a dime. This eliminates any and all risk for the client. If more SEO companies did business that way, the industry as a whole wouldn't have such a bad reputation. All that being said, even if no money is required upfront, you still need to do your due diligence and check things out carefully. If all SEO companies competently applied their craft and performed the service they were paid to perform, articles like this one wouldn't be necessary. But as long as there are incompetent SEO scam artists who intentionally take people's hard-earned money without doing what they promised...I will continue to warn people about the problem. Unscrupulous SEO companies that guarantee first page rankings aren't stupid, but they think you are. In fact, they're counting on your naivety, gullibility and yes...laziness. Because the truth of the matter is there are millions of people out there who would much rather put their faith and trust in leprechauns, magic pills and guaranteed rankings, than put in the time and hard work necessary to achieve the desired results. That's the way it is, and that's the way it's always been - even before the advent of the Internet. "You can write all the selling copy you want about how you're the best, offer great quality, and include lots of great content. However, it's all for nothing if your potential buyers have any doubts. Doubt creates hesitation. Hesitation kills sales. The answer? You have to reduce the perceived risk people feel so there is no hesitation to take you up on your offer. And that's the key - risk reduction. Over the years, listening to that "little internal voice" has served me well. The times I ignored that little voice is when I've gotten into trouble. Listen to your gut. If something doesn't feel right, walk away. In a perfect world, we would be able take SEO companies at face value without being suspicious. Unfortunately, we don't live in a perfect world, so be suspicious. Be very suspicious...The money, time and aggravation you save may be your own! I'm delighted to introduce you to a guest post from Sylvia Rosen. Sylvia is a web content writer who uses her journalism background to connect with industry professionals to write articles on the latest trends in health, technology and business industries. Thank you Sylvia for guest posting on Derek's Home and Business Blog and I'm sure my readers will thoroughly enjoy your post. Here's some interesting food for thought: Did you know that in spite of the current state of the downturned economy, customers are actually willing to pay more for great customer service? According to the 2010 Customer Experience Impact Report by Harris Interactive, customers are willing to pay top dollar to have a great customer experience. 82% of customers stopped doing business with a particular company because they had a bad experience. 55% of customers chose a company because of their good reputation for customer service. 40% of customers purchased from a different brand because of their reputation for great customer service. The bottom line? 85% of customers are willing to pay more than the average price for a product for a pleasant customer experience. Social media is a booming channel for customer service today. More people are plugged into social networking websites like Facebook, Twitter, and LinkedIn than ever before. When your business has a presence and a voice in social media, you can reach customers exactly where they are at. You can speak their language. You can listen in on their conversations. You can answer customer questions and deal with problems before they become a bigger issue. On top of that, social media provides the perfect environment to reach out to customers in neutral territory and form long-lasting relationships, proving to them that you are a business they can trust. 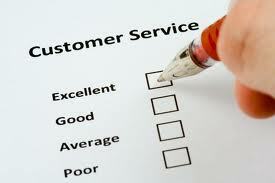 Customer service is a basic component of any business, but its value should not be overlooked. When a customer calls you regarding a question or issue, they are looking for genuine support. Having a well-trained staff that is knowledgeable enough to quickly answer customer questions and deal with customer issues over the phone will make a great impression on behalf of your business. Make no mistake that if a customer has to call again and again or has trouble reaching a representative, they will not likely do business with your company again. E-mail marketing is the modern approach to direct mail marketing; even better, it is incredibly inexpensive to run an e-mail marketing campaign. Instead of paying to send out flyers, postcards, or brochures to customers that will likely be thrown away as junk mail, you can create a dedicated e-mail campaign with valuable information that your customers are looking for. In order to see the greatest success with e-mail marketing, pay attention to what your customers are talking about in social media. You can then provide content that answers questions and concerns in an e-mail newsletter and offer special deals and coupons to your subscribers. This is one easy, effective way to keep customers coming back for more and to reward loyal customers for their business. Speaking the right language to your customers will do wonders to improve their customer experience. And when you're able to improve the experience of your customers, you can guarantee that they will pay more for your products - and choose you over your competitors every time. 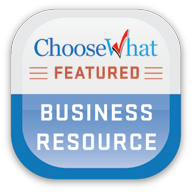 About The Author: Sylvia Rosen is an online writer who connects with business professionals to write articles on a variety of industry trends and products. You can connect with Sylvia on Twitter @SylviaRosen. Do you like this guest post? Please show Sylvia your support by leaving your valued comments. Until my next post, have a fabulous week! In the world of internet, with myriad SEO strategies being applied - some haphazardly and some in an organised fashion, it is increasingly becoming important to understand the what works in SEO and what misses the bull's eye and what strategy can lead to being penalised. Here, we present the top SEO dos and top SEO don'ts. 1. To benefit the web users, make suitable modifications on your pages. Focusing only on the search engines is not enough; the human visitors are extremely important. 2. Generate sensible and reliable navigation paths and maintain it that way. 3. Create pages creatively keeping in mind that every single page that you create on your web site serves as an entry point to the potential customer. 4. Every single page on your website should be created and labelled clearly and accordingly; with the subject matter written in a crystal clear manner thereby attracting the web users as well as the potential web users. 5. If you want Google to rank you high, make sure you focus on every minute detail as Google takes into consideration hundreds of points while ranking web pages. 6. Keep creating new and creative subject matter that will benefit and attract the web users. 7. When you create and add new pages on your web site, intimation has to be sent to the search engines about the newly added pages on your website in the form of sitemaps and crawlers. 8. Usage of text should be the priority when trying to boost non-textual subject matter such as audio visuals to get the attention of the web users and get the search engine's attention. 9. Keep using data to evaluate the effect of methods used in SEO. 10. To make your code as minimal and effective as possible, keep reorganising and simplifying as much as possible. 11. 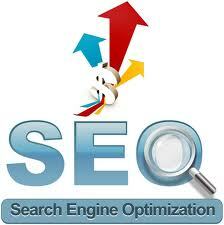 Make sure that there is at least a single page that stands as a support for each prominent keyword used by you. 12. Keep tabs on such competitors who are aggressively pursuing link, who's dropping off, and who's holding steady. 13. When developing or redeveloping or working or reworking on certain templates, sections and sites always insist on site map diagrams and wireframes. 15. If you desire good rankings on Google "Be patient" as it takes time. Don't focus on hastily chasing and earning rankings as these tend to evaporate just like that. 16. Never ever forget that everyone who is a part of your business can be a potential link partner and this also includes your clients, your associates and your media partners. 17. If outsourcing your SEO tasks, always use a reputable SEO company. To get a good ranking and to stay on the top post, you must be aware of the above mentioned dos. 1. Just because you want your web site to stay on the top and get good rankings, making unwanted and unnecessary changes will have a negative effect on the web user. Never ever forget that the user is the priority. 2. Never ever knowingly or unknowingly resort to or encourage plagiarism. 3. Don't use parameters which will become a segment of URL structure for your page/s. 4. Don't generate a page which is not a part of any page or its parent page of your website. 5. Don't consciously allow dead pages to exist. Redirect the dead pages to any of the old pages that are more relevant. 6. When you have HTML to provide the best user experience, don't use Flash. 7. Don't make it difficult for your web users when they look for categories. Provide a link. 8. Don't give away the links of your website without good and valid reason. 9. 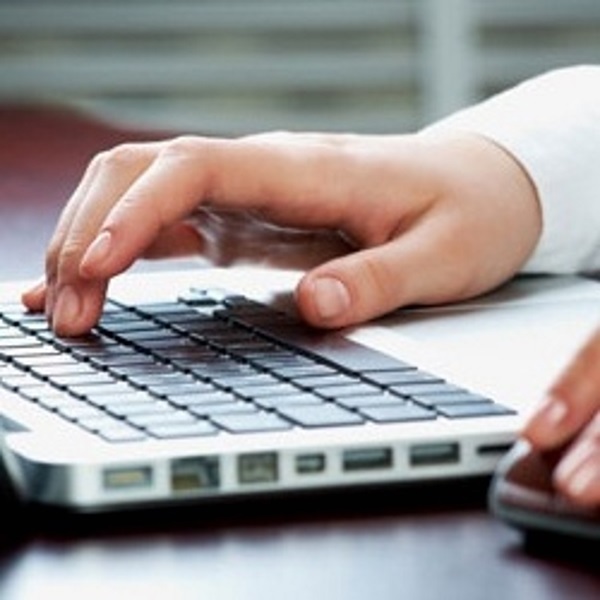 Don't let the pages compete with each other for your prominent keywords. 10. Don't use an SEO company who claim to guarantee you top 10 rankings. No SEO company can guarantee you a first page or top 10 ranking. More information on this will be available in an upcoming blog post. 11. Using gray or black-hat techniques may jeopardize the rankings of your website. 12. Never ever set up your SEO improvements in one go. If and whenever possible, make changes in a natural manner. 13. Never depend on bottom-up navigation to guide the web users to the subject matter. 14. Never let the content of your web page appear in the form of pop-ups. 15. If ever your rankings take a back step, don't panic. It is common for the rankings to fluctuate. Adopt another and much better strategy if you don't see an improvement in your rankings. 16. It takes a little bit of time for your search engine rankings to rise so don't postpone to the next day what could be done today. I hope that the above mentioned dos and don'ts will facilitate you in a better understanding of SEO. Note: If you're looking for a reputable SEO company, may I suggest using QuickSeoResults.com. Quick Seo Results is a leading SEO company that is focused on results. 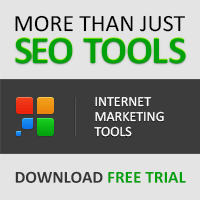 They bring high quality search marketing solutions to small and medium businesses across the globe. If you're new to SEO, visit SEO in Practice for free, easy to understand tutorials and tips on search engine optimisation. Until my next post, enjoy the rest of the week!